This beautiful card is appropriate for many occasions from Birthdays to Just Because. 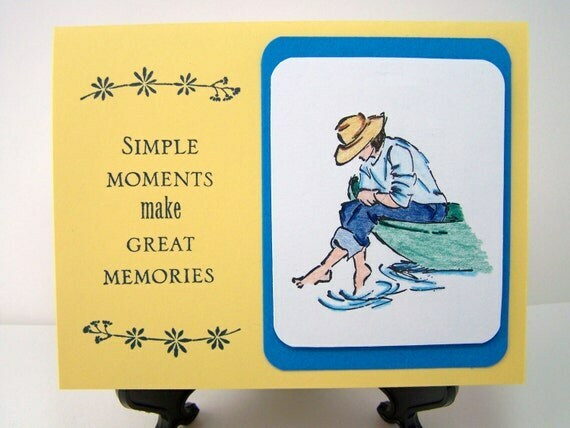 Share a great memory with a friend or relative today. The card was hand stamped then colored to bring the picture to life. Purchase 3 single cards and receive 1 card free, just indicate which card you would like in the notes to seller. As with all my cards, I am able to stamp, print or die cut almost any greeting or message you could want, all you have to do is mention it in the note to seller! Folksy :: Buy "Retro Cat shaped card, suitable birthday or other occasions Handmade"
Folksy :: Buy "'Sweetheart' Card"